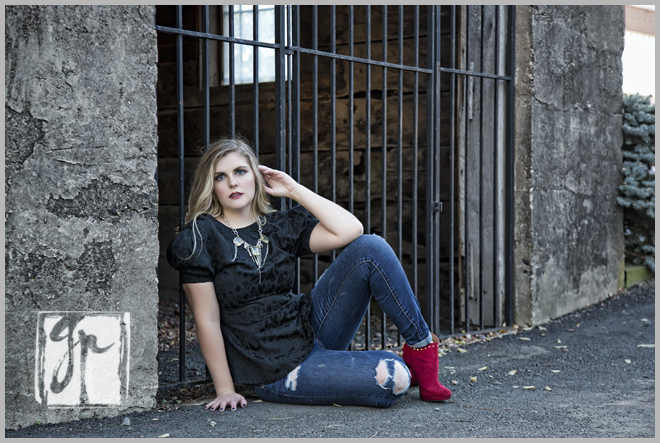 Callie is an absolutely beautiful senior model with a great sense of style. I’ve had a wonderful time photographing her this year! 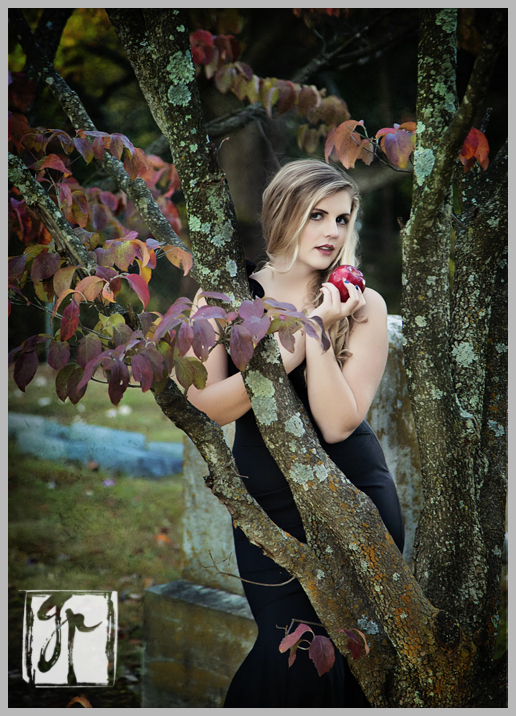 Callie started off the day with professional makeup by Jo Trimmer and a studio senior model shoot, which I’ll feature later. Then we headed off to downtown Herndon, where she nailed a fashion-loving look. And look at these shoes!! She switched into jeans with a black peplum top and incredible red shoes. 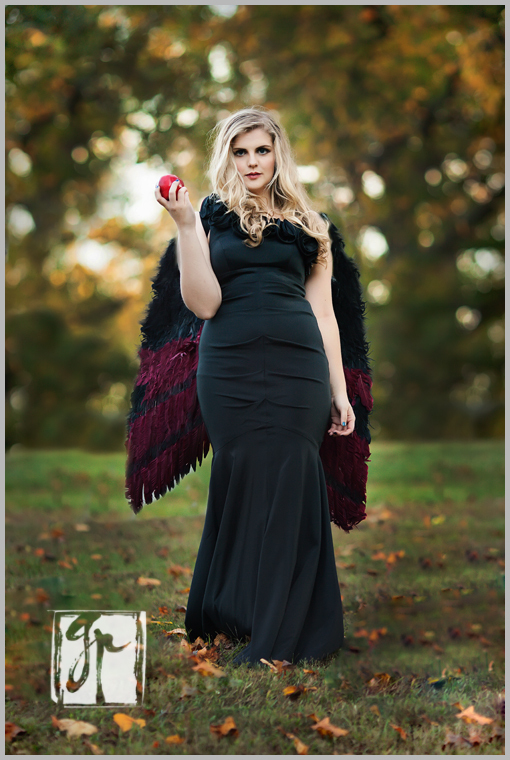 Then Callie changed into a long black ruched dress and brought some red apples and we started doing some concept work. 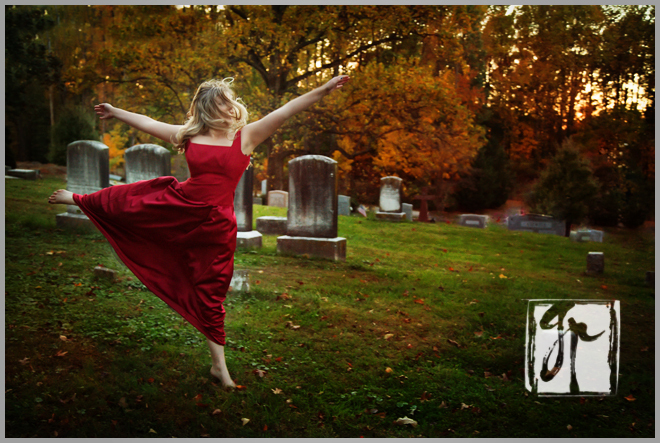 And, with the last rays of sunlight, she changed into a red dress and we headed to the historic cemetery in Herndon — right across from my alma mater, Herndon High School. And this is my parting shot. This has such a lovely old world feel, like she is a beautiful endangered heroine out of some gothic Jane Eyre type novel. 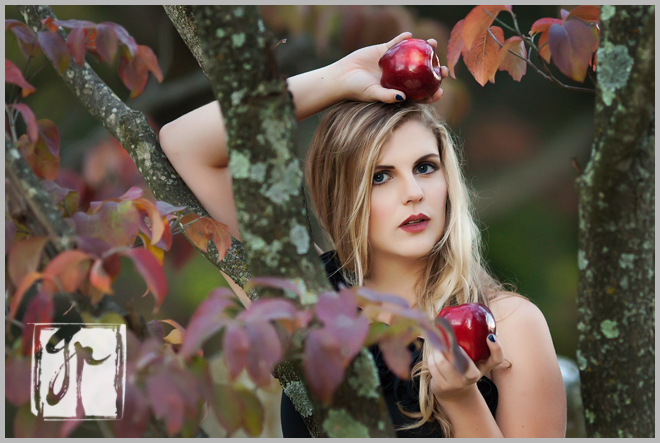 Want a copy of our free Guide to Selecting a Senior Photographer? This entry was posted in Seniors, Studio. What a gorgeous girl! I love the variety you got! I love the one with the wings! So pretty! 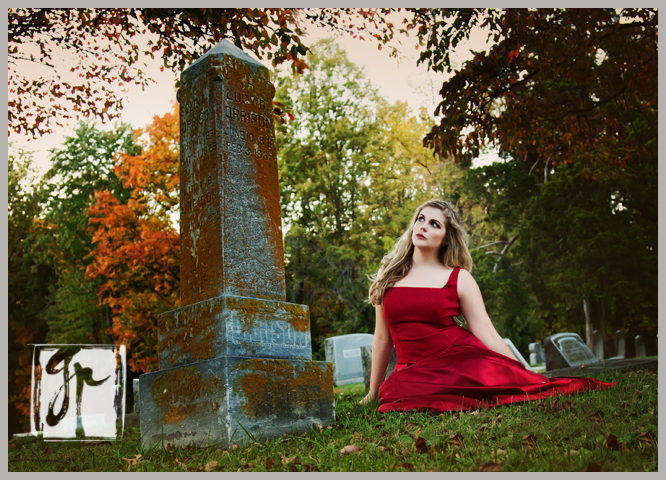 I love the cemetery shots! I love her dresses! These are beautiful! I love the concept ones! She is beautiful. WOW these are amazing! She’s so beautiful and your style really brings out the beauty in people. Love your use of light and colour! Gorgeous girl! What a unique session! 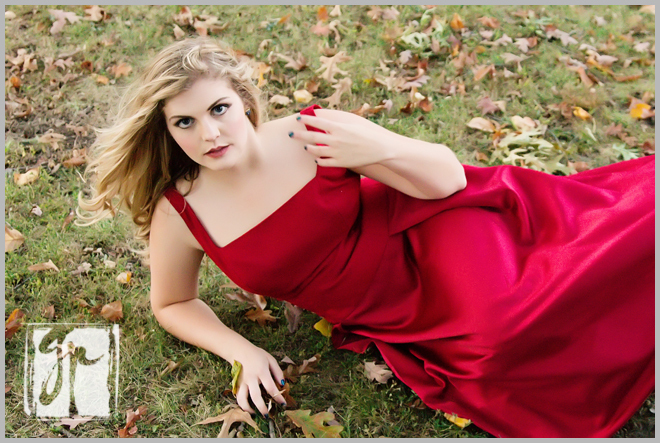 These are so creative and way beyond typical senior portraits. She is stunning and you have used your skills to bring out her beauty and personality! Wow! What a variety! I love these! The first shot is my favorite, but I love all of them! She is stunning. You two make an amazing model/photographer team! Awesome work! wow, she’s a senior? Beautiful. Great images! She is a gorgeous gal. I love the way that black dress looked on her. Gorgeous! 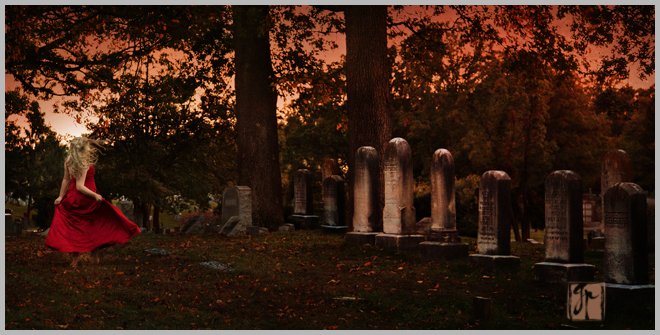 Love the cemetery shots. These are amazing! Gorgeous young lady, and really cool photos. I love that first one – looks like it belongs in a magazine ad! Wow, what a wardrobe! I’m jealous 🙂 Great concepts and well executed. Beautiful girl!